Robert (Bob) William Blackmore, 85, of Wadsworth, Ohio passed away on April 2, 2019. He was born on December 20, 1933 to William Dennis and Mildred Blackmore in Middletown, Ohio. 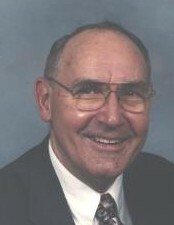 Bob was a founding and active member of Northside Christian Church. He sang in a gospel quartet, led music, and taught Sunday School for 67 years. In addition to his love for and service to God, Bob was a kind, loving and generous man to his family and friends. He is survived by his wife Mildred (Ann) Blackmore, his children Catherine Thompson, Ellie Shuff, Rose Brown, Robert William Blackmore Jr., and Jeannette Crabb, his siblings Carol Ann Kidwell, Doris Robinson, and Mildred Bustillos, as well as by his many grandchildren and great grandchildren. All services will be held at Roberts Funeral Home at 9560 Acme Road, Wadsworth, OH 44281. Callings hours are 2 - 4 PM on Sunday, April 7, and a funeral service will be held at 11 AM on Monday, April 8.